Our volunteers come from all walks of life. Some are people who have benefitted from our services and want to give something back and help others in the same situations as they were. Others are keen to learn new skills and gain new experiences or to have a chance to meet new people. Whatever the motivation, our volunteers are highly prized by Care Plus Group and we are committed to supporting them to be successful and have a rewarding volunteering experience. My involvement with the Older People’s Health and Wellbeing Collaborative began in January 2013 when I joined a new social club in Waltham. As I got more involved in the club I applied to be on the committee and was Chairman of the club until 2015. 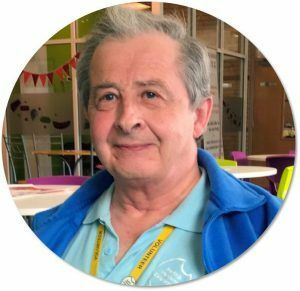 I was then approached by Martin Wakefield, the Manager of the Collaboratives to help with a new project called ‘Good Neighbours’ and bring the skills I’ve gained from Waltham to other areas. As part of the ‘Good Neighbours’ project I was involved in setting up two new social clubs in Humberston and Haverstoe. I am the Chair of the Haverstoe Social Club, which is currently thriving with 45 active members. Volunteering gives me a sense of purpose and it’s nice when members say they enjoyed my quiz. I like helping people. 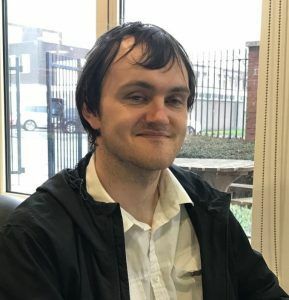 It also means I get out during the day, I live on my own and have made lots of friends through the groups and also got to know other people and made links with other groups. 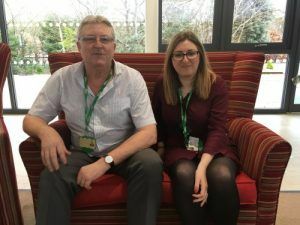 I’ve met people from the energy efficiency team who helped me get cavity wall insulation in my house and reduce my energy bills, which I never would have done without the volunteering. During my working career I was an electrician, which meant I was used to getting on with different people but through volunteering I’ve learnt many new skills and definitely believe it’s never too late to learn. I volunteer at Older People’s Social Clubs as a bingo caller, lead new age Kurling sessions and am a quizmaster. When new people join a group, we always make sure they are met by someone and introduced to people. We’ll always announce we have new members before we start the bingo or quiz. We know it can be daunting for people to turn up to something on their own so always make an effort to make them feel welcome. My advice to others who are interested in volunteering would be to go for it, you’ll need a good sense of humour and be prepared get out and meet people but its benefited me both from a social point of view and also knowing I’m helping other people. Peter helps out with any events we need him to such as listening events, running new age Kurling Clubs and setting up new clubs. He is an asset to the team and it is good to have him on board. He’s a very active member and one we can rely on. When my husband Ron died I felt my world had come to an end. I felt so alone, I didn’t know what to do, where to go, and had no confidence to find out all these things”. 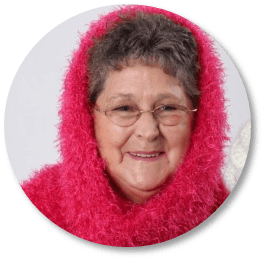 Margaret became a volunteer for the Older People’s Health and Wellbeing Collaborative and Margaret is now an active member of the monthly Steering Group meetings and regularly attends the Events and Entertainments meetings where future events are arranged. Margaret is the Chairwoman of her own new social club in Waltham, at All Saints Church on the outskirts of Grimsby. I felt so lonely when Ron went, but now I am having the time of my life. I have made so many new friends; I’m always out, going for meals, to the other social clubs that the OPH&W programme supports, going to shows, away on day trips and even on holidays. 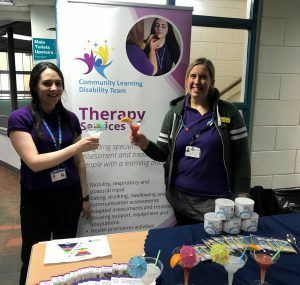 The Collaborative has given me something to look forward to getting up for in the morning, it has turned my life around and I wouldn’t be without the fun, comradeship, and all-round better health and wellbeing I have found since joining. The vast majority of people we meet are grateful for what we do. 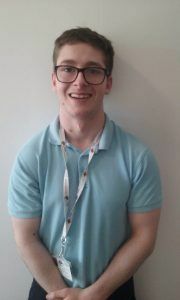 “I have felt so welcomed by the HWB (Health & Wellbeing) Team from staff, team members and the wider care plus. The spirit within the team is one of caring, sharing of information and support. Going out into the community and delivering the message we have trained for is both rewarding and gives a feeling of satisfaction.